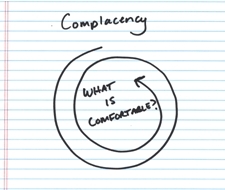 Does 401k Complacency describe you? 401k-Checkup.com – The easy to use tool for your 401k, IRA or other investment portfolios. If you have a 401k account then you have also gone through the exercise of “picking” your investments. You had to do some thinking, read some information, consider what you think and then consider how your “feel”. In the end you made some decisions, pushed a button and now as much as $17,500.00 of your HARD EARNED MONEY is swept each year from your paycheck into the 401k decisions you made months or even years ago! Think back and ask yourself just how much effort you put into those decisions? How comfortable are you now with those decisions? Can you even remember what is in your portfolio and why? Finally ask yourself, in your life, have you ever made a decision effecting 10% of your weekly income with so little thought? 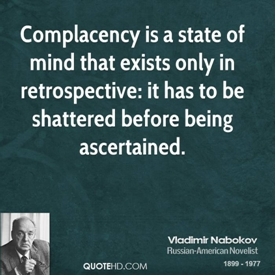 Perhaps you are not complacent; maybe you are just ill equipped! You know yourself and how you feel about risk, you know your long term goals and time-frame, and you probably understand the concept of not putting “all your eggs in one basket”. It is very likely you spread your 401k around. You may be ill equipped because you have not had a simple process for assessing the portfolio decisions you made. This process should also be something that can easily be repeated so you can “check up” on your 401k periodically. You never know, things change; time until retirement, the options your company allows, your paycheck, your expenses. 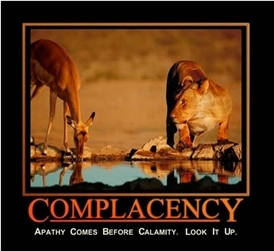 It’s too important to ignore or become complacent with. That’s why we developed 401k-Checkup; to help you do better. You get easy to use and actionable information to add to your decision making process. You still are responsible for your decisions, so 401k-Checkups can help you be more comfortable with those decisions. Don’t fall victim to 401k complacency and wait for the investment world to demand your attention with the next crises or “correction”. Have a proactive process for checking up on your 401k and do it on a regular basis. Your retirement future and up to $17,500 of your yearly income are not a “set it and forget it” decision. Get your own personal and custom 401k-Checkup today. Are You Slow-Cooking Your 401K? Autumnal Equinox: The earth re-balances, do you?